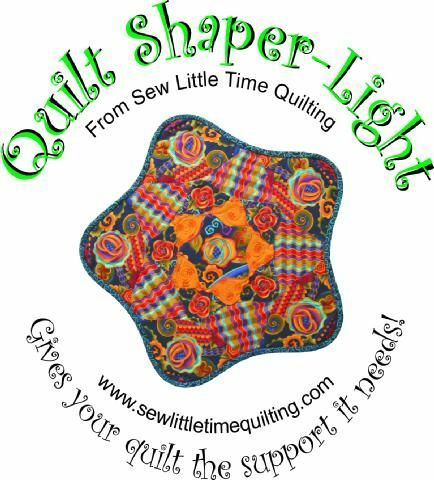 Quilt Shaper-Light works to support your non-square quilts. It is run into your binding. You cut it whatever length you need. Two connectors are already installed on the 12 foot length. Complete instructions with step-by-step photographs are included. For smoother applications try Quilt Shaper, it is a bit heavier and works better for larger shapes like 36" circles.